Thanks for your patience over the past week - sometimes real life gets in the way of blog posting, and we've been busy with outdoor work, the garden and putting up veggies for the winter, and so on. Lynnafred and I both have a bunch of posts in the pipeline that will start coming out next week. 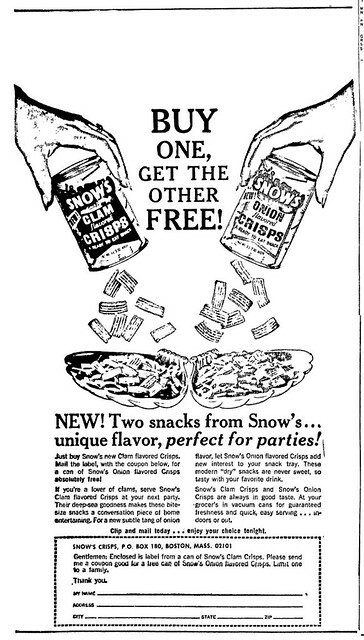 I had a lady call about a canned product she bought back in the 50's made by Snow's - "Clam Crisps" is what she called them and she said they were similar to the fried onions that come in a can and were about the size of a Frito. She actually called Fred Snow, who is now about 92, and he had two cans of the product - and he wouldn't sell them to her! She swears they are the best thing ever. Have you heard of this product? Would love to know any information you might find. I enjoy challenges like this. I'm a patient and tenacious researcher, I know where to look for many different types of esoteric information, and I'm very creative in constructing the types of queries which tease out data where others sometimes come up dry. And that includes non-digital research when necessary: there's a lot of info on the internet, but it's very often the case that there are few - or no - digital records of things which existed only briefly in the days before digital media. Such is the case with Snow's Clam Chips. Not even Bumble Bee Foods, the current owner of the Snow's label, could help me - After several changes of ownership and a big move which carried the brand out of Maine and down to New Jersey, there aren't many original corporate records left. 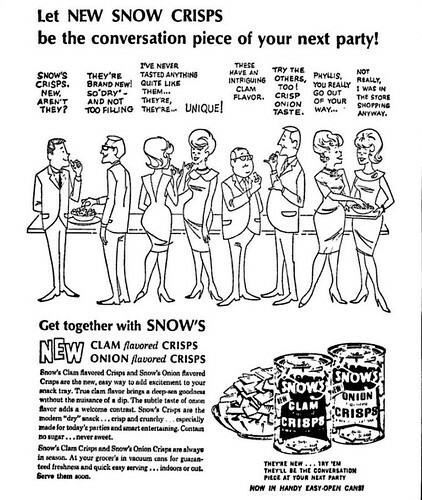 Nevertheless, I was able to find out a bit about Snow's Clam Crisps. 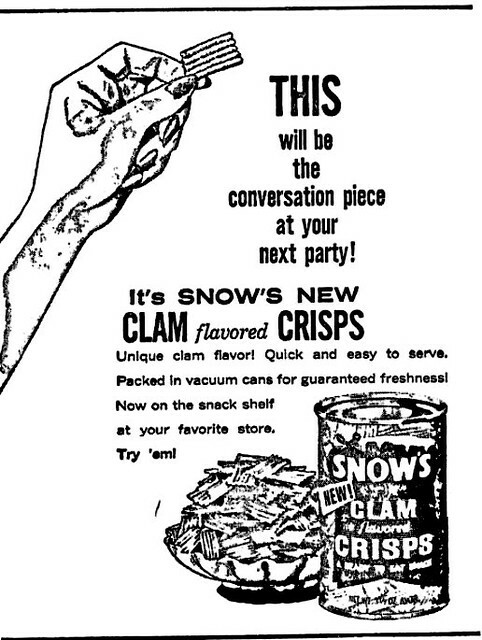 Clam Crisps just never really caught on. The last advertisements for them showed up in newspapers in late summer 1966, and after that the product just sort of faded away. Although fondly remembered by many people. 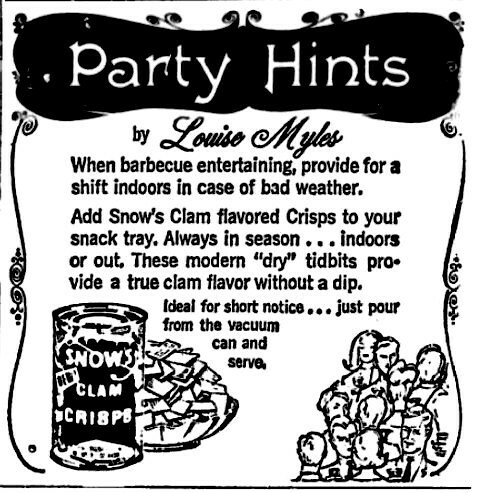 Crisps were removed from production and Snow's concentrated their attention on their more traditional products - Chowders, soups, and canned seafood. While shopping at a small, local grocery store a few weeks ago, Dave found a flat of canned raspberry-flavored iced tea. He'd said that he bought it partly because of the "ridiculous psychedelic artwork" on the can, and partly because it was a great deal - a 23 ounce can for 99 cents. And when he showed it to me, we both laughed and jokingly dubbed it "Hippie Tea." Well, to both our surprise, this iced tea is exceptionally good. The sugar is cut with sucralose, dropping it to 50 calories per serving and it comes in four flavors - Razzleberry, Imported Ceylon, Sweet Lemon, and Green Tea. 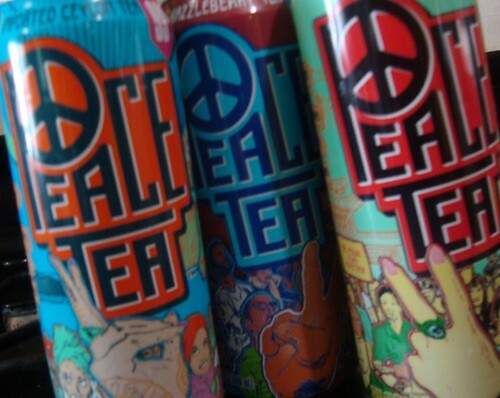 Each of the Peace Iced Teas are made with all natural tea, with no artificial colors or flavors and no preservatives. With the exception of the Sweet Lemon Tea, which we haven't tried yet, we're all very pleased with them. The only clue we had to go off of as to who made this iced tea came off of the Razzleberry Tea can - just under the barcode is a dog wearing a hankerchief around his neck. 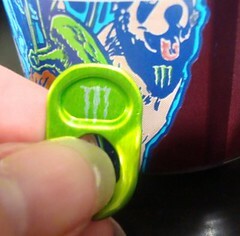 It had the telltale trademark green "M" that Monster Energy uses as their trademark. When I told that to Dave, he decided to do some looking on his own. As it turns out, both Monster Energy and Peace Teas are owned by Hansen Natrual Beverages, though Hansen's official site doesn't list either of them in their product listing. That's okay, though, because all of them list the same address to contact, right down to the letter. I've eaten toasted mealworms (they had cheese powder on them and tasted like Cheetos, only made of mealworms.) And I've eaten a cricket, inside a Cricket Lick-It lollypop (it tasted kind of like a peanut.) Both of those examples were crunchy and not very nauseating. However, just the thought of biting into a squishy, insect-guts-filled silkworm pupa makes me want to hurl. 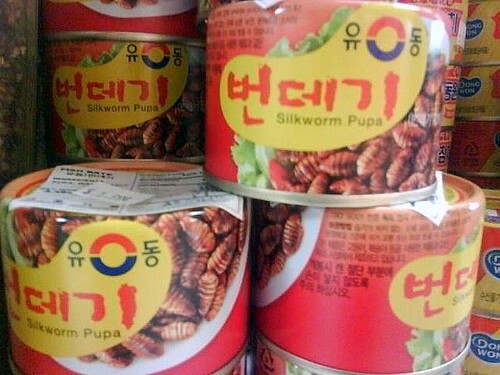 So I left these cans of (presumably) delicious pupa on the shelf of the Korean market. Civet Cat Coffee - AKA Cà Phê Chồn, or "Weasel Coffee." Attribution-Share Alike 3.0 Unported License. Peering at you from the foliage in the picture at the right is an Asian Palm Civet, a small nocturnal Southeast Asian mammal. 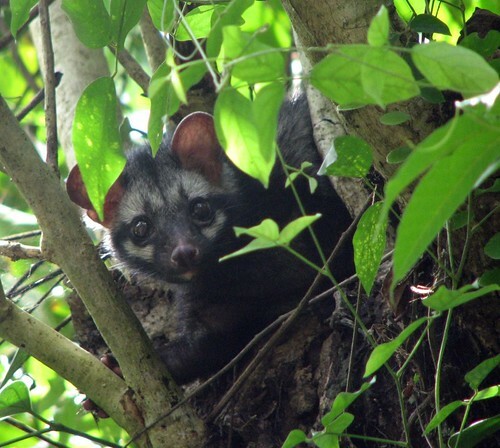 Civets like to eat fruit - especially coffee cherries - but they can't digest the seeds. This trait has made the civet an essential player in the production of the most expensive and sought-after coffee in the world, a beverage called "cà phê chồn" in Vietnam. Weasel coffee (which is how the Vietnamese roughly translate cà phê chồn into English) is a unique type of coffee which starts with undigested coffee beans picked from civet cat stool. The salvaged beans are washed, sundried, roasted and ground to produce a really amazing brew - the civet's digestive enzymes shorten peptide chains and create free amino acids in the beans, resulting in an aromatic beverage with much less bitterness than the average cup of joe. Just before she came home from China, my altdaughter Sproffee vacationed in Vietnam and brought back a package of cà phê chồn. On Sunday afternoon, our families got together and, after a wonderful dinner of grilled steaks and freshly-picked garden veggies, we brewed a pot of precious poop java. The ground beans have a rich, strong aroma of dark chocolate with a very faint background of toast and loam. I tried the coffee both black and served with sweetened condensed milk, which is how Sproffee says it is usually served in coffeehouses in Vietnam. The brew is strong and dark-tasting, very similar to an espresso, but with much less bitterness. A slight sweetness takes some of the edge off the dark characteristic while emphasizing the chocolatey tones, but the flavor softens and mellows with subsequent sips. 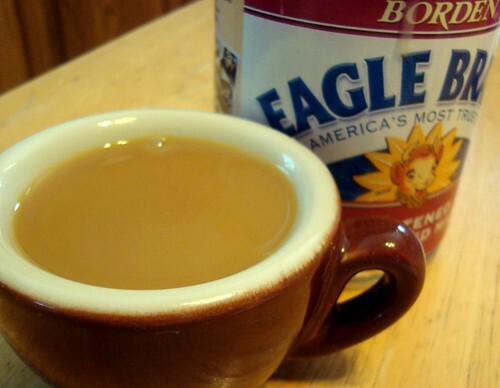 With the sweetened condensed milk added, the strength is subdued but I'm not convinced the coffee is better for it; it was a little too sweet for me and I think it's better either black or with my own preferred coffee adulterants, half-and-half and a small amount of sweetener. The third largest-selling brand of coffee in the US, Eight-O-Clock Coffee started out as A&P Food Store's house brand of light-roasted "breakfast" coffee in 1919, and was sold in A&P stores alongside their other original roasted blends "Red Circle" and "Bokar." Over the years, the "Eight O'Clock" brand came to encompass the rest of the A&P coffee lineup as a brand name as well as a type of roast. In the early 1980's, A&P began licensing the coffee to be sold in other supermarkets - including their competitors. Eight O'Clock has been owned by India's Tata Group since 2005. I find it interesting that in recent years, almost every supermarket has added a custom grinder to their coffee aisle. When I was a kid, A&P was the only store where you could get coffee ground to order - and every checkout aisle had a coffee grinder built in right by the cashier's station so the coffee could be freshly ground just before you left the store. I wonder what happened to all those huge red grinders? They were big, heavy, bullet-proof, and built to last a hundred years by the Hobart Company. I'd love to have one in my kitchen, wouldn't you? 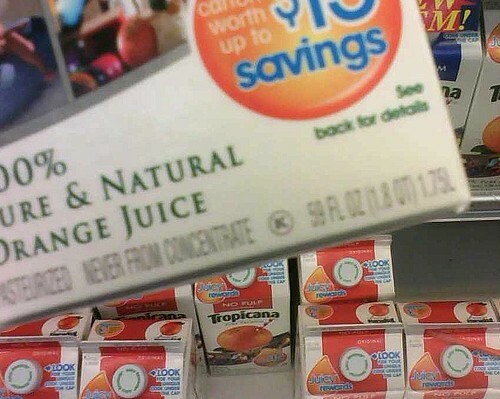 The cartons look the same size as ever, but if you check the label you'll find they now only contain 59 ounces. Sneaky bastards - this is the equivalent of a 7.8% price increase per ounce. Florida's Natural is a grower-owned and -operated co-op, and has been since it was founded in 1933. Florida's Natural for the win. And so it was that when Hormel contacted me and asked me to give SPAM® another look, I agreed. I've long been an occasional SPAM® user - traditional SPAM®, that is, you've seen me poke fun at some of the other various SPAM® varieties that Hormel has introduced over the years - but the folks at Hormel sent me a bunch of different SPAM® to sample and experiment with. 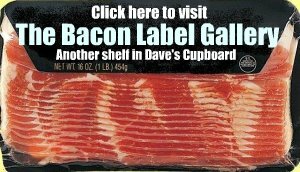 You see, Hormel runs a Recipe Exchange on their SPAM® website for SPAM® fans to get ideas and share their own original recipes. 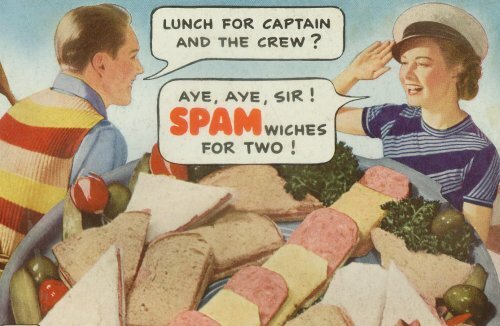 And right now, the Recipe Exchange is hosting a Meal Makeover Challenge to raise an awareness of SPAM®'s versatility. A brand-new Meal Makeover Challenge is now open, calling for recipes using SPAM® and noodles. The rules are pretty simple: Come up with an original recipe using SPAM® and noodles or pasta, upload it to the Meal Makeover Challenge, and become eligible to win a cool $1,000. Click Here to go right to the Meal Makeover Challenge, read the full rules, and submit your recipes. As a special bonus, the first 500 entrants will also receive a promotion code for a free SPAM® T-Shirt! To sweeten the pot a little, I'm going to add a prize drawing of my own, for this awesome SPAM® branded spatula and hand-glazed ceramic SPAM® trivet. Hey, I can't match the thousand bucks that Hormel is putting up, but I can give you a shot at some cool swag. Send me an email - daves.cupboard [at] gmail.com - with the words "trivet and spatula drawing" in the subject. The email will be your entry into my drawing. One entry per person. Entries will be accepted for the duration of the SPAM® and Noodles Meal Makeover Challenge. 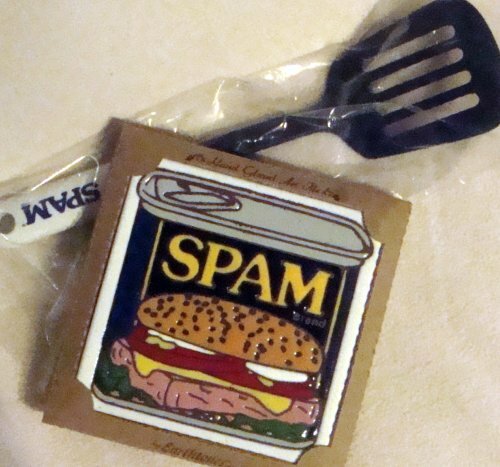 From all entries received, one winner will be drawn via RANDOM.ORG to receive the SPAM®-branded spatula and trivet. Winner will be announced in a blog post here, and notified by email. Odds of winning will depend upon the number of entries received. Entrants will be able to confirm their valid entry by visiting a RANDOM.ORG link to be provided at the end of the drawing. Back in April, I wrote about getting an awesome pulled-pork sandwich as Backyard BBQ in Enfield CT. I've been there a few times since then - most recently last night - and I think it's about time I offered a more extensive review of their offerings. Grilled Chicken: Because Backyard BBQ uses real, hardwood charcoal to cook their chicken (and all their other entrees, for that matter) it shouldn't come as any surprise that their grilled chicken is second to none. Slow cooked over an actual fire, this was the first restaurant grilled chicken that I can say tasted as good as my own. Beef Brisket - Meltingly tender, Backyard BBQ's brisket is excellent. I especially like the mild-yet-sharp tang of the homemade house sauce it's served with. 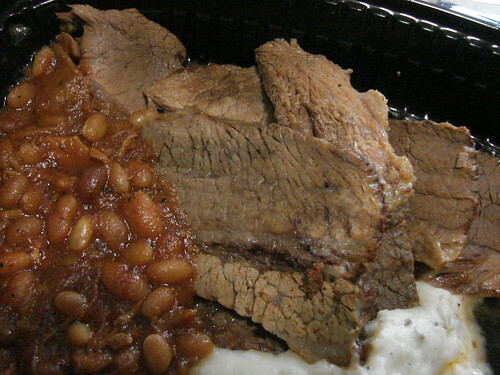 Pictured with the brisket is a side of BBQ Beans. 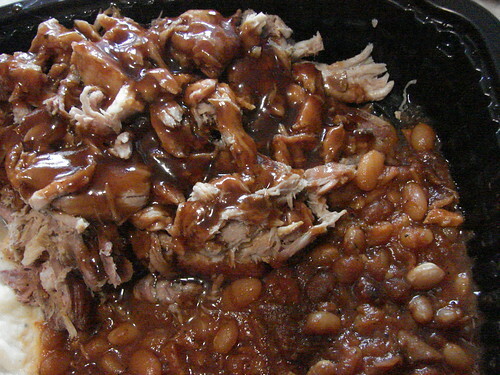 For most of my life, I have pretty much hated barbecue beans. This is probably because the only ones I've ever had have been cheapo baked beans swimming in low-grade barbecue sauce. These are the beans which changed my mind. Loaded with chunks of pulled pork, dressed with sauce, and kicked up with a medium boost of spicy heat, these beans are almost a meal in themselves. I like them so much that I order at least one side of them every time I go in. Seriously, even if you hate baked beans, you should give them a try to see if their extreme awesomeness can win you over, too. I'm happy to say that the Pulled Pork is every bit as excellent now as it was in April. This time, I got it as a dinner entree rather than a sandwich. It's still the best pulled pork you'll find outside the Carolinas. Backyard BBQ's Garlic Mashed Potatoes deserve special mention as well. Thin-skinned new potatoes, roughly mashed with the skins on and spiked with roasted garlic and a touch of sour cream, they complimented the brisket and the pulled pork extremely well. Like the beans, the potatoes are good enough to buy all by themselves for the sake of eating potatoey goodness. Corn Bread - Quite a unique recipe (and I mean that in a good way) - a nearly perfect balance between the sweet, moist Northern style and the dryer, not-very-sweet Southern style. Plus there are chewy little kernels of roasted corn distributed throughout. 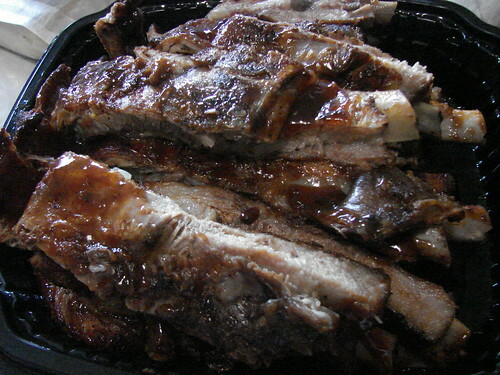 Last, but certainly not least, are the St. Louis Style Spare Ribs. We bought a full rack and were glad we did. Backyard BBQ does 'em right: nice and slow over hardwood coals, using whole untrimmed sides that yield big and meaty ribs. They're tender and perfectly done - right to the point where the meat pulls off the bone but not quite to the overdone "fall off the bone" stage. The meat is dressed with homemade rib sauce for the last few turns over the fire, and then are cut into serving sizes ready to go. I can't recommend them highly enough. 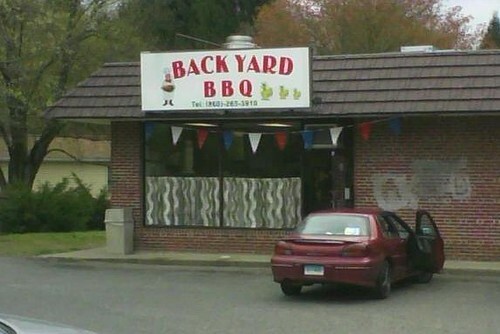 I'm really glad that Backyard BBQ opened up in town. They're following through with their initial promise to bring an authentic and reasonably priced barbecue takeout to Enfield, and I'm looking forward to many more meals there. 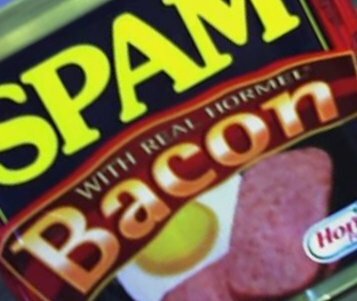 Keep your eyes open...a new Hormel SPAM contest is coming very soon, and when it does I'll have details for you here. 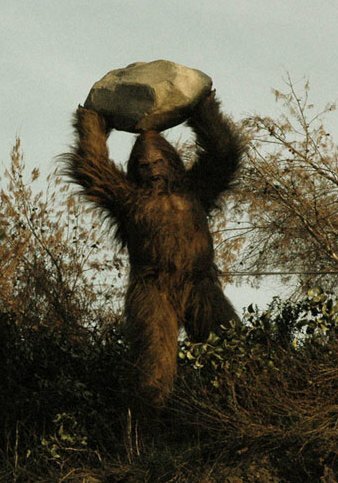 Messin' With Sasquatch Is Back! Photo from Link Snacks Inc. Remember those Messin' With Sasquatch Jack Link Beef Jerky commercials from a couple of years ago? Well, they're back with a series of all-new ads which are now available for viewing on YouTube and will soon be in the ad rotation on several cable networks including Comedy Central, TBS, National Geographic, and ESPN. They'll have "broadcast versions" as well as online-only "alternative ending versions" featuring more puerile (read: even funnier to my inner 12-year-old) humor. 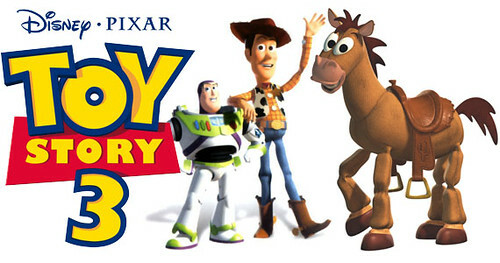 Over the weekend, the family and I went to see the latest Pixar release, Toy Story 3, in 3D. We loved the movie - there were so many great moments from beginning to end, and Pixar's superb storytelling and animation skills were put to perfect use, making the film as good a stand-alone feature as it was the final installment in a three-story arc. But I gotta tell you: Not only did my eyes water like fountains starting 10 minutes into the movie, but the 3-D gave me a crushing headache which lasted, despite a dose of Excedrin when I got home, right up into the next morning. This isn't the first time I've seen a movie which used the RealD process. When Nightmare Before Christmas was rereleased in 2006 in 3D, we went to see it. The 3D effects were pretty cool, and added to our enjoyment of the film; it seemed to me that Tim Burton might have even had 3D in mind when he originally made it because the action seemed so naturally compatible with the effects. Back then, I experienced a little discomfort - watery eyes and a slight headache after the movie - but I attributed it to "getting used to 3D" and dismissed it. 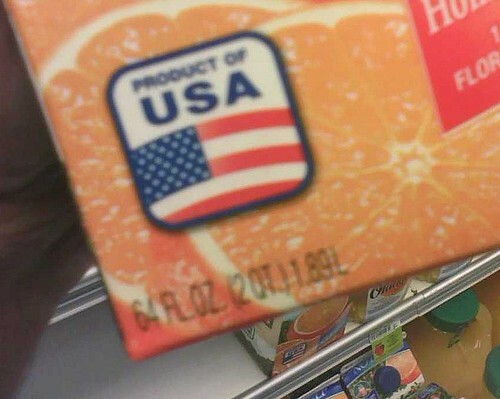 Now, I'm not so sure. And my dissatisfaction with 3D isn't limited to wet eyes and pounding noggin. Ticket prices for Toy Story 3 3D were twice the price of the 2D version at my local movie house. Hey, I understand the principles of capitalism, and theatres can feel free to charge whatever the market will bear for whatever they want to throw up on the screen, but damn, that's a lot of scratch and quite frankly, as cool as 3D looks, there was nothing about the effect that made Toy Story 3 any more immersive than it would have been in 2D. Seriously. It was totally 3D for the sake of 3D. I have a sneaking suspicion that theatres are using jacked ticket prices for 3D to soften up movie-goers for much higher prices across the boards - and, considering things like big-screen advertisements mixed in with the trailers and having to share the cinema with assholes who yak and text and chat on their cell phones throughout the movie, even the regular price of a movie ticket is looking too damn high lately. Was the film made in 3d, or was the effect tacked on in post-production in a cynical effort to extract more money from my wallet? Does the 3D add anything to the experience? Would the 2D version be just as good? Is seeing this movie in 3D really worth the eyestrain and headache I'm going to wind up with? If the answers don't add up, I'll either see the movie in 2D or wait for the Blu-Ray to be released. Because here's the real deal: For the price of a singe movie ticket, I can watch a month full of movies on my own terms thanks to Netflix, in 1080p on a big bright screen - without advertisements, rude shitheads, sticky floors, and screaming kids - at home, and not get a headache. You're right, it's not the same as going to a movie theatre. It's better. Theatre owners had better start considering that as much as they consider dumbass new gimmicks. What about you? What do you think of 3D movies and the cinema experience? Thcik, very crunchy, big and hearty potato flavor, light on the salt. Probably one of the best chips we've ever tried. Hard to find in New England, but - like many other Poore Brothers snacks - occasionally available at Ocean State Job Lot, so keep your eyes open. I'd buy them again. 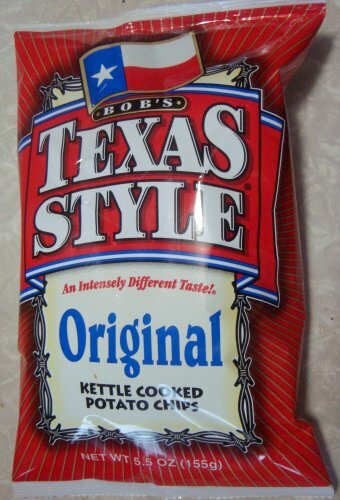 Inventure Group's Bob's Texas Style -You'll learn all about the many varieties of Texas Style chips here, and every description is written like it was taken right plumb out of a B-Western, li'l pardner. Vintage Sunday: Happy 4th of July! 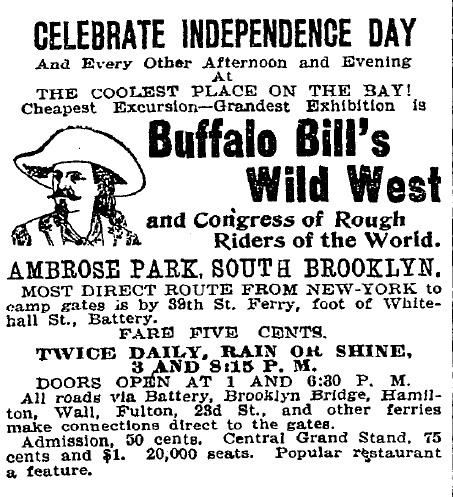 Unfortunately, we can't celebrate July 4th by going to see Buffalo Bill's Wild West and Congress of Rough Riders of the World, like New Yorkers could in 1894. But there are plenty of fireworks displays and other activities available to us. See ya in a day or so. What comes to mind when you think of Vermont? Maple syrup. Aged cheddar cheese. Covered bridges. Spectacular autumn foliage. You can be forgiven if you don't think of hot dogs - Vermont doesn't have much of what I've heard called a "hot dog culture." And that's kind of a shame, because the state is home to one of my favorite natural-casing franks, McKenzie Country Classics. 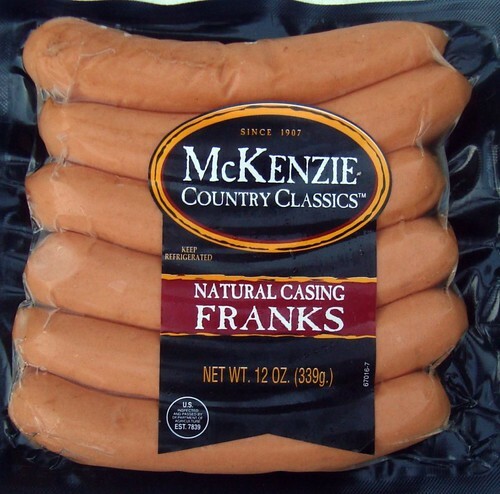 McKenzie's franks have everything it takes for frankfurter excellence: a firm casing that snaps when bitten, good balance of beef and pork, and a flavorful seasoning blend which, although milder than some other local New England franks, still holds up well against mustard and relish. Like many of the other dogs I'm covering in this series though, they have a limited distribution range. When I get a jones for McKenzie products, I make up an excuse for a daytrip north, and we always stop at the Brattleboro Hannaford on US5 on the way home.